We love the instant AppStore convenience of Ipad gaming, there's always something new, exciting and nostalgia inducing to download. Balancing Ball our latest IOS puzzle find has certainly invoked our sense of nostalgia and excitement . Before we elaborate on the ins and outs of Balancing Ball I'll tell you about the immediate nostalgia it induced. You've probably guessed from its title that we're looking at a Marble Madness type of game (and generally these balancing games work very well on iPhone and iPad). But my morning was spent going through a lot of game archives after my first Balancing Ball play through . The reason being that the whole experience down to some very vividly coloured graphics reminded me of one of the first balancing games I played on the original PSP way back in 1995. After much research (about an hour of net crawling) I found the name of the PSP game that this iOS puzzler reminds me of : Archer Maclean's Mercury. In '95 I spent a lot of my initial love affair with the PSP playing Mercury, so the fact that Bball reminds me so much of it is a massive plus, and also a comment on how awesome it is being an iOS gamer as this balance puzzler can be had for a fraction of the price of the PSP classic. 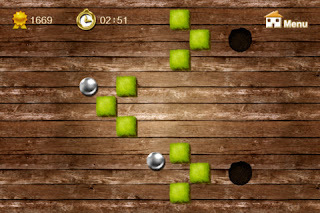 The game comes at you thick and fast and you're soon negotiating obstacles and even multiple balls. 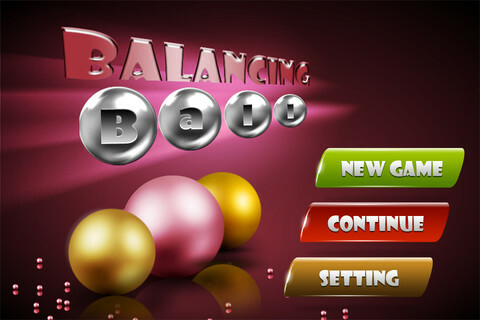 Skinned with some attractive bright graphics and good gameplay Balancing Ball will give you a worthwhile balancing game experience.